Are you ready to be educated? So should you really expect to get schooled by this new value investing book? Well, keep reading this book review to find out. In the paragraphs that follow you’ll learn what I liked most about Guy Spier‘s new book, what you can expect to get out of the book, and why it’s a one-of-a-kind value investing book. Now let’s get down to the business of reviewing The Education of a Value Investor. What’s “The Education of a Value” Investor All About? The Education of a Value Investor is about Guy Spier’s quest to become a better value investor, and a better person. The book proceeds in a chronological and autobiographical fashion. So you very quickly get a feel for who Guy Spier is, where he came from, and what he aspires to be. That makes it all the more interesting to follow, as Guy recounts the bumps he encountered on the way to his dreams. Nothing’s ever as easy as it seems, right? And Guy is refreshingly honest about how his initial ambitions and actions didn’t take him where he wanted to go. But this book isn’t just the life story of a successful value investor. While The Education of a Value Investor is relatively introspective, it’s also packed with highly-valuable information that will be of interest to any do-it-yourself stock picker or aspiring fund manager. As much as the book is autobiographical, it’s also instructive. 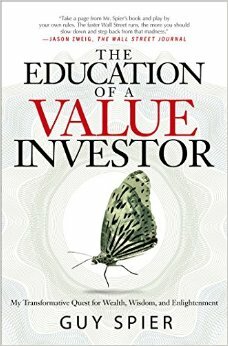 The Education of a Value Investor is an all around great book. But some of my favourite parts of reading it were the actionable lessons for value investors everywhere. And although the whole book carries an instructive and educational tone, there are a few chapters in particular that are especially illuminating. One chapter of The Education of a Value Investor talks about “Investing Tools” and dictates 8 of Guy’s investing rules that he follows in his own portfolio. It’s neat to get an inside look at how a leading value investor thinks about the challenges that come with managing your own money. In another chapter, the author shares the importance of an investment checklist. Not only does he explain some of the items on his checklist. But he walks through specific investing case studies and highlights past mistakes that caused him to put these qualifying criteria on his checklist. This chapter alone is worth the price of admission. I also enjoyed learning more about the friendship between Mohnish Pabrai and Guy Spiers. Long time readers will recall Pabrai is the author of one of my favourite value investing books, The Dhandho Investor. I hadn’t realized how close these two value investors were. I was also pleased to learn Guy is friends with John Mihaljevic who wrote another one of the best value investing books around, The Manual of Ideas. Obviously, you can learn a lot from this book. But before you rush out and buy The Education of a Value Investor, there’s one thing you should know. If you’re looking for a methodological book about how to analyze aspects of value investments, like financial statements or industry fundamentals this probably isn’t the book for you. In fact, you’ll probably appreciate The Education of a Value Investor even more, if you go ahead and read The Intelligent Investor (or Security Analysis) first. But if you already have this basic foundation in value investing, then you’re sure to appreciate this story about one value investors journey. It’s inspiring, interesting and incredibly informative in ways I didn’t expect possible. In fact, I’d argue that this book is in the minority of investing books specifically because it does not overly focus on the technical aspects of capital allocation. Instead, you meet a man and watch how he’s dealt with the challenges of life. It’s fascinating. And inspiring. The Education of a Value Investor was a very enjoyable book. It was only about 190 pages. And I read it in a couple of days because I simply couldn’t put it down. Plus, the book just came out a few weeks ago. So you know it’s relevant to contemporary value investors. For these reasons, I recommend you buy The Education of a Value Investor for yourself on Amazon. If you’re still not convinced, I encourage you to check out the video book review below. This entry was posted in Stock Ideas and tagged investment book reviews on September 17, 2014 by Jworthy. You need to be on the lookout for new ways to lookout for new ideas! 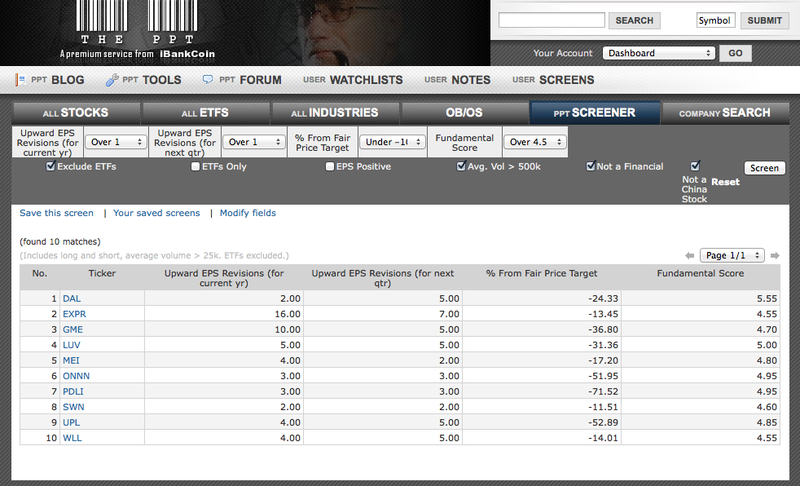 That’s why I love free online investing tools like these FinViz stock screens. Stock screeners let you splice and dice data in all kinds of peculiar permutations. 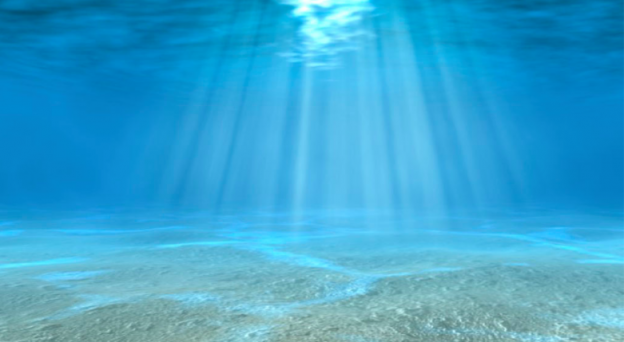 So let me show you how I found these under-valued stock ideas that are starting to shine. A lot of my stock screens revolve around trying to find under-valued companies. But lately, my usual stock screens aren’t producing much in the way of success. So I’m trying to spice things up and be a bit more proactive about finding stocks that are moving up. But how do you know which stocks will keep moving up? One of the most reliable indicators, according to the book How to Make Money in Stocks, is increasing EPS. The book makes a compelling case for why ongoing increasing EPS is the main driver for higher stock prices. So in this screen, I tried to isolate under-valued and fundamentally sound ideas. Then I looked for companies that have recently announced an upward revision to their EPS guidance. The idea here is not only will these businesses will continue to generate strong earnings but they’re also under-valued relative to their earnings growth. So what are these stocks? Just for your context, the fundamental score in the above stock screen filters out companies that are expensive based on price to sales, price to cash-flow, price to book and a number of other fundamental metrics. The fair price target is calculated using Eddy Elfenbein’s simple valuation measure. This entry was posted in Stock Ideas and tagged stock screens on September 13, 2014 by Jworthy. The Alchemy of Finance , by George Soros, is an in-depth look at financial and human behavior. 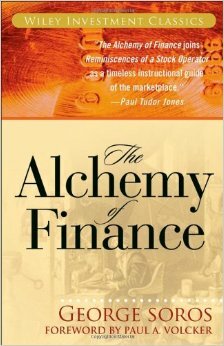 I have been meaning to read The Alchemy of Finance for a while now. And now that I’ve finally gotten around to it I hope this book review will help you decide if The Alchemy of Finance is right for you. So what’s this book all about anyway? The main idea George Soros discusses in The Alchemy of Finance is his concept of “reflexivity.” Since The Alchemy of Finance was written in the late 1980’s, when efficient market theory was at it’s prime, these ideas of reflexivity flew in the face of conventional wisdom. But what’s reflexivity all about anyways? Good question. So as a reminder, recall that efficient market theory dictates the market is all-knowing, and made out of logical and rational participants all acting in their best interest. But this dictum flew in the face of George Soros’ personal experience. Soros discovered that the markets are a dynamic experiment that is always changing. They cannot be reduced to rational and linear models that don’t reflect their true complexity. He explains how not only do the fundamentals of a given stock determine it’s price. But also that the price action of the stock influences the fundamentals (by influencing lenders’ perception of credit-worthiness, for example). This is a pretty wild idea. And it sounds like it caused some splashes when it was originally published back in the late 1980’s. But after Soros introduces his theory of reflexivity, he goes on to discuss it as it applies to financial markets. 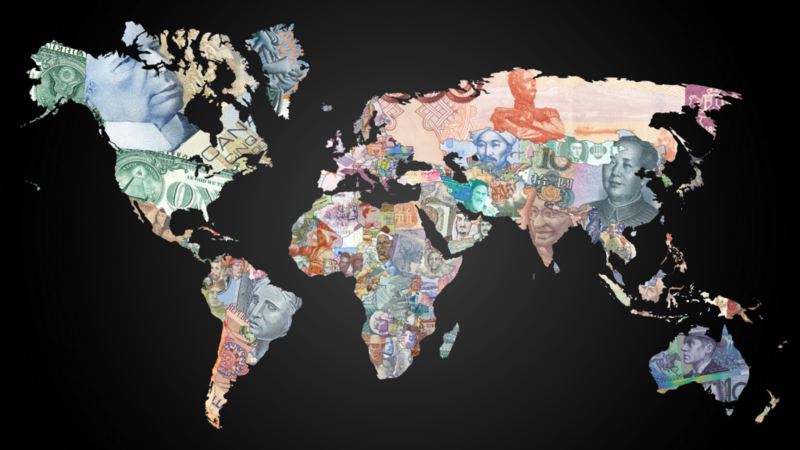 He look for reflexivity in the global trading of stocks, debt and currencies. And he does a good job sharing the implications of his though-experiments. One part of The Alchemy of Finance that exceeded my expectations was Soros’ “real time experiment.” To help the reader understand and accept his theory of reflexivity, Soros keeps a personal diary for about 18 months. During this time, he explains his trading ideas and activities. You get to see in real-time how his approach works. Be warned: He moves pretty quickly and you really get the impression that his mind is moving a mile a minute. It’s pretty impressive stuff. And once you see the returns he rack’s up you might start to get a little jealous too. While the real time experiment isn’t entirely applicable or practical, it’s impressive that George Soros had the gaul to draw a line in the sand and stand by his ideas. It’s also neat how well it worked out (even though he was wrong on a lot of things). This personal diary of trading and investing is a unique perspective I haven’t seen anywhere else. Once the real time experiment wraps-up, The Alchemy of Finance debriefs the experience. It then goes on to highlight some other areas of the world (such as commodity markets and central banking) that could benefit from embracing the reality of reflexivity. The Alchemy of Finance was a pretty neat book and overall I enjoyed reading it. But there’s one part of this book that I could have done without. For the first 35-50 pages of the book, Soros talks a little bit about his life and his experience. He explains how he came to be where he is, and what his personal interests and aspirations were. But he does this in an incredibly confusing way. When The Alchemy of Finance describes the theory of reflexivity in abstract terms, it’s tough to follow along. I found the first 40 pages or so to be difficult to read. And I had to pay a lot of attention to follow along. To his credit, Soros advises that some readers may want to skip ahead and avoid the first chapter altogether. That said, once The Alchemy of Finance starts applying the ideas of reflexivity to the financial markets, things get really interesting. It’s much easier to understand these ideas when you can see how they work in practice. Make sense? Now, let’s wrap up this book review. The Alchemy of Finance is an interesting book written by one of the great minds in macro-driven global finance, speculating and trading. For that reason alone, I think you should buy TThe Alchemy of Finance on Amazon. But if you want some more information you can also watch the brief video book review below. Thanks for reading along and let me know in the comments below if you end up buying The Alchemy of Finance. This entry was posted in Stock Ideas and tagged finance books, george soros alchemy of finance on September 6, 2014 by Jworthy.